NOIDA, (12/4/2019): It was heard that people living in cities do not vote and spend the day in fun activities or picnics. But this time there were some different thing happened in Noida. Polling booths in the villages of Noida were between 50 and 55 percent of voting, while talking about the apartments, polling was about 70 percent. Apartments in Noida Sector 50, 62, 74, 78 etc. have been made aware about the voting by running special campaigns by the Administration under SVEEP. Along with the Mahagun apartments, the Amrapali laser valley, Hyde Park, etc., polling booths were created in commercial spaces outside the Mahagun, and around 72% of voting was done here. Similarly, polling booths of many apartments including Supertech Cape Town, Ajnara, Prateek Westiria were placed in Sorkha village, where about 70% of the voting was done. Also, those living in the apartments in Greno West took part in the voting in large numbers. 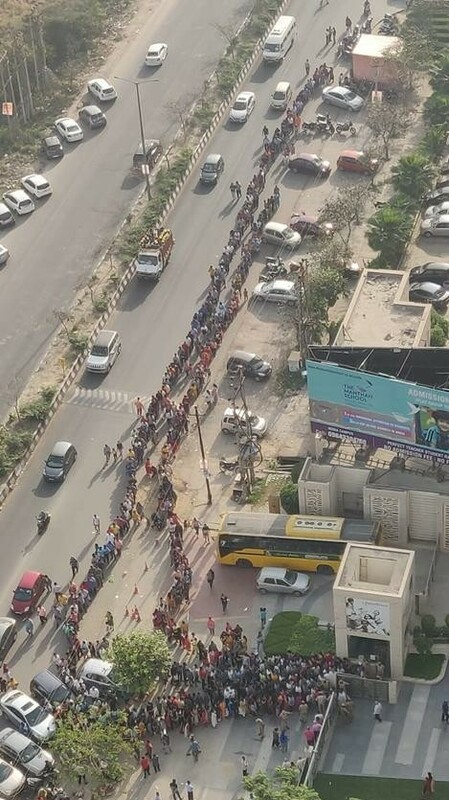 The enthusiasm could be seen by the 1 km long lines created by the voters. If you talk about polling in villages, then the polling was about 55%. Although Noida assembly polls are seen to be very less than Jewar. Polling in the Jewar Assembly, tops the five assembly elections which is around 66%. Reading the voting percentage in the apartments, it is indicating that BJP candidate Dr. Mahesh Sharma has a strong position, though in the rural areas, the SP BSP candidate Satbeer Nagar is having a good support. Congress candidate Dr. Arvind Singh gave most of the time in the rural areas after getting the ticket, so he is not very successful in wooing urban voters. It is to be seen now, whose fate opens on May 23 with the results of the elections.